And so, we are welcomed into the world of Halloween Town in the classic Tim Burton film, The Nightmare Before Christmas. At Disneyland, Jack Skellington welcomes guests into his own version of Halloween and Christmas, as he's applied it to the Haunted Mansion. For 13 years, this transformation has been delighting guests, and the ride's popularity during the holiday season shows no signs of letting up. Need more proof this is the most wonderful time of the year? 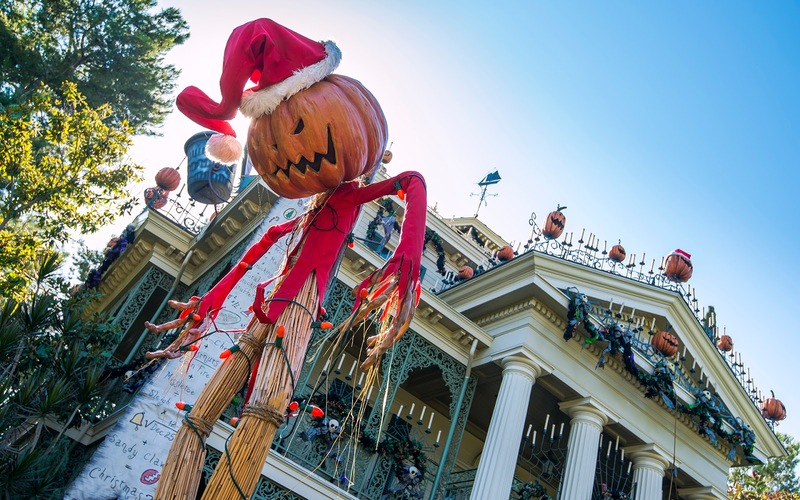 Iconic Jack Skellington in front of the Haunted Mansion during Halloween Time!